In the summer of 2013, my Garden Club created a community project to encourage our neighbors to grow beans. Why beans? It's an easy and healthy vegetable to grow and almost every culture uses beans in their cuisine. 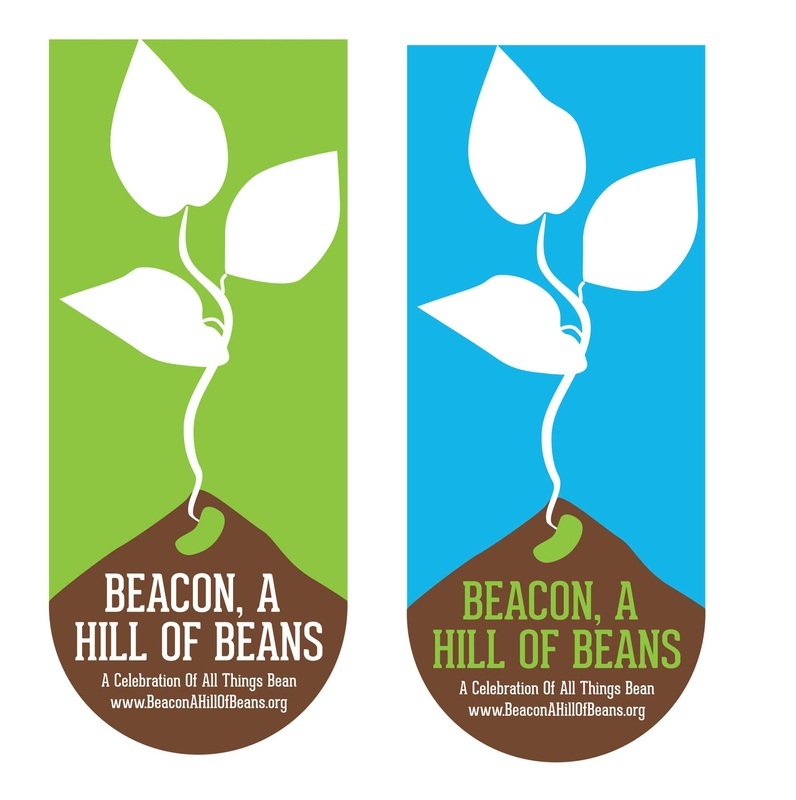 The project had many components including dinners encouraging people to sample different bean varieties. Several community events were held where the public learned how to grow them. 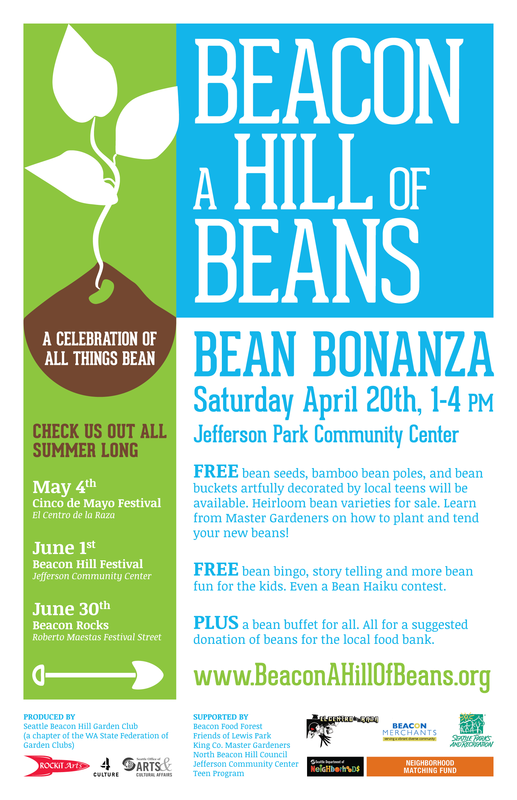 We gave away hundreds of free bean seeds, dirt, and containers. 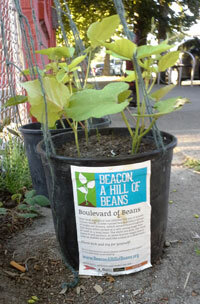 There were three public plantings of beans all over Beacon Hill.. This is where we encouraged the public to pick the different varieties and try them. The challenge was to create project recognition across the many parts and pieces. Also, how to engage this wonderfully diverse community online and on the street. My solution was to create a logo and visuals that were consistently used throughout all the parts and pieces. I created a website that pulled all the information together. I created blog posts and forums to engage the community. I designed posters and signs for the public planters in several different languages to encourage our whole community to take part. The project was a huge success and was a lot fun to work on!